The circular T16 lamp inspired us to design a luminaire which enhances any wall, ceiling, table and floor. The 1055 is available with an optional dimmable electronic ballast, and can be equipped with a touch dimmer upon request. Lamp type: 1 x 22W, 40W or 55W T5 Lamp base: 2GX 13 Material: tempered safety sandblasted glass, anodised aluminium, white powdercoated stainless steel Material Shade: washable coated fabric in a choice of colours Dimensions: D 322 H 60 - 70, D 372 H 60 - 70 Special dimensions available. 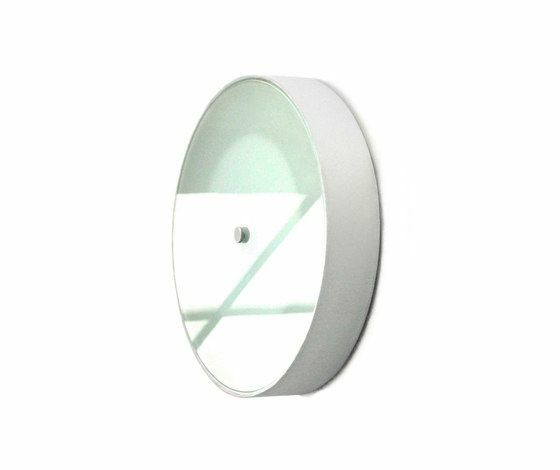 W, 40W or 55W T5 Lamp base: 2GX 13 Material: tempered safety sandblasted glass, anodised aluminium, white powdercoated stainless steel Material Shade: washable coated fabric in a choice of colours Dimensions: D 322 H 60 - 70, D 372 H 60 - 70 Special dimensions available. The name AYAL ROSIN stands for a high-quality lighting collection for object- shop- and living areas, as well as for the designer and proprietor of the enterprise.